Note: This Storage Processor (SP) does not include Ultraflex I/O modules or a power supply. EMC 110-140-408B Storage Processor with 1.6GHz CPU and 8GB RAM for VNX5300 storage arrays. Whether you’re upgrading your EMC VNX5300 storage system or simply looking for a replacement Storage Processor (SP), we have what you need. If you don’t see the part listed that you’re looking for, please use our Contact Us form; as we have many parts in inventory that are not listed. Please note that this EMC Storage Processor is used and backed by a 60 day warranty. Same day, expedited, and international shipping available! The VNX series is designed for a wide range of environments that include midtier through enterprise. VNX provides offerings that include file only, block only, and unified (block and file) implementations. The VNX series is managed through a simple and intuitive user interface called Unisphere®; this single pane of glass completes the unified experience. The VNX5300, the introductory model for the VNX unified platform, is designed for the mid-range entry space. This model provides either block and file services, file only services, or block only services, and uses a Disk Processor Enclosure (DPE). The VNX5300 Storage Processor (SP) uses a 1.6 GHz, four-core Xeon 5600 processor with 8 GB RAM and a maximum of 125 drives with the following block-based host connectivity options: FC, iSCSI, and FCoE. This model uses a Disk Processor Enclosure (DPE) that is available in 15 x 3.5” drive or 25 x 2.5” drive form factors. 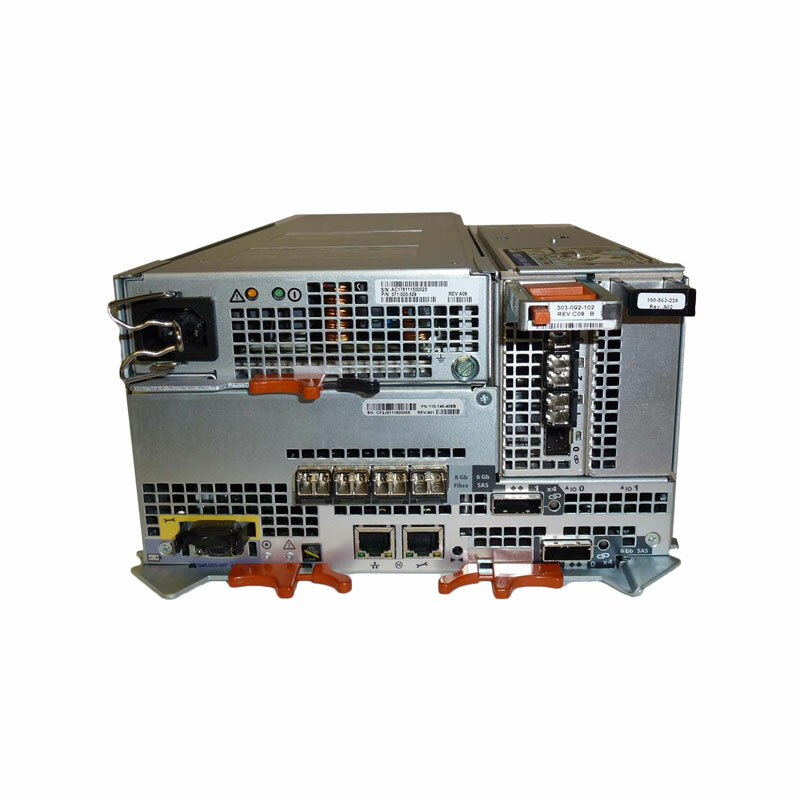 Each SP includes four onboard 8 Gb/s Fibre Channel ports and two 6 Gb/s SAS ports for backend connectivity on each storage processor. There is a micro-DB9 port and service LAN port available, which are used as a backup method of connectivity for system maintenance. An additional LAN connection is available on each SP for array management. Each SP in the enclosure also houses a power supply module and has two UltraFlex I/O module slots. Both I/O module slots can populate on this model. Any slots without I/O modules should be populated with blanks to ensure proper airflow.